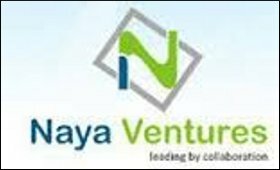 Naya Ventures, a USD 50 million start-up entrepreneur-venture fund, is set to invest in seven companies in India in the next one to two years. Founded by Dayakar Puskoor, who owned P&L for the Hosting and Mobility Solutions business at Microsoft, it is looking to invest in the firms in incubation, development and management of new mobility, cloud and big data solutions. Dayakar believes Indian entrepreneurs have to get the right product-market fit to go global. They need support of sales and marketing partners to access global market. "There is also a gap in the investment eco-system to gain additional growth capital and exit opportunities for early stage start-up. Besides, the Indian M&A activity in technology arena has been slow, non-lucrative and has barely started," said Dayakar, who was here to attend August Fest 2014, the biggest startups festival in India which began Saturday. Naya Ventures focuses on providing access to additional growth capital and strategic exit partners. He feels the high growth sectors such as big data, cloud computing and mobile applications have potential to create billions of dollars in wealth and several hundreds of thousand jobs. Dayakar earlier led USD 350 million hosting business encompassing all product development, product management, marketing and business development for Microsoft. Prior to joining Microsoft, as founder and CEO of JP Mobile, Dayakar pioneered the industry's first mobile software solutions company. He secured USD 55 million in financing and successfully completed its acquisition by Good Technology, later acquired by Motorola.